Researchers in Canada have successfully tested a syringe that scatter very small particles that could someday be used to generate electricity for many things, ranging from mobile devices to home technology. The particles, known as CQDs (Colloidal Quantum Dots) are also referred to as "artificial atoms," which is very efficient at absorbing light, including parts of the spectrum that is not visible. 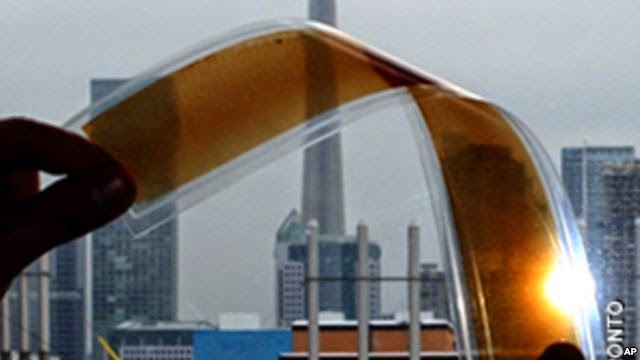 When sprayed onto the film, CQDs can produce the light solar cells and flexible that can be wrapped around large objects, including irregular surface. The researchers said the spray process is very easy. The new technology can change how technology devices and home or building may receive electric power. A house with a roof wrapped by CQDs film, can generate the electricity needed for everyday use.